Journal of Physical Education and Sports Science biannually publishes research on various aspects of the sports and exercise sciences, including anatomy, biomechanics, performance analysis, physiology, psychology, sports medicine, sports nutrition, health, and well-being, as well as coaching and talent identification and physical education. 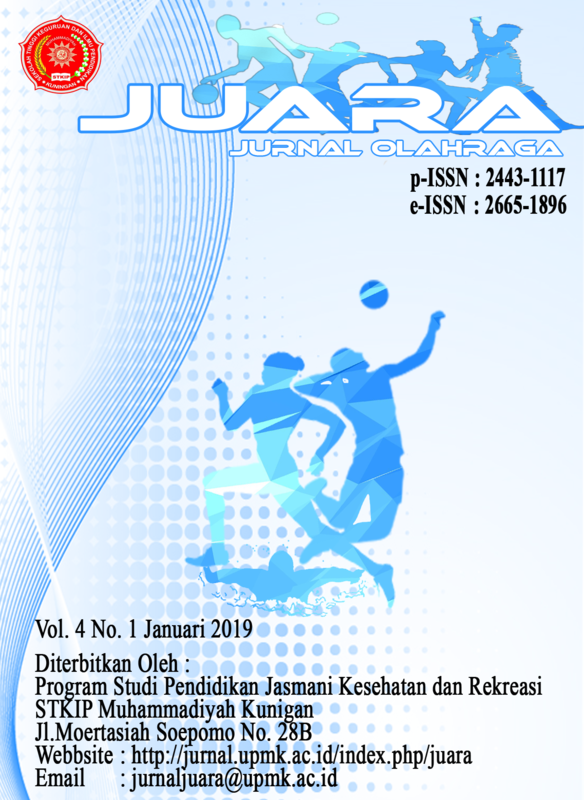 Journal of Physical Education and Sports Science is a journal published by the Department of Physical Education, Health and Recreation, STKIP Muhammadiyah Kuningan. The purpose of this journal is to facilitate scientific publications which are the results of research conducted by students, teachers, academics and researchers. All articles published in this journal have undergone rigorous peer review, based on initial editor screening and anonymous refereeing. research results in the fields of Physical Education and Sports Science. 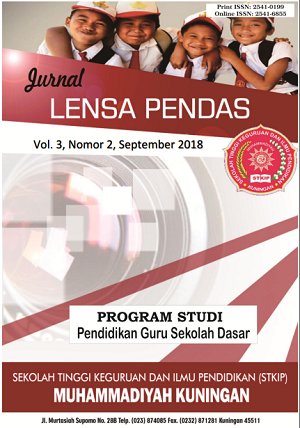 Jurnal Lensa Pendas merupakan majalah publikasi artikel ilmiah Program Pendidikan Guru Sekolah Dasar yang memuat karya tulis ilmiah berkaitan dengan IPTEK terkait dengan pendidikan dasar, ditulis sesuai dengan kaidah-kaidah penulisan ilmiah serta diterbitkan secara berkala. Lensa Pendas menjadi salah satu media penerbitan artikel ilmiah berupa hasil penelitian atau hasil pemikiran (konseptual) sebagai upaya meningkatkan publikasi ilmiah dalam bidang pendidikan dasar. Lensa Pendas dapat membantu civitas akademik dalam menambah wawasan dan memudahkan pencarian referensi terkait dengan penulisan karya ilmiah. 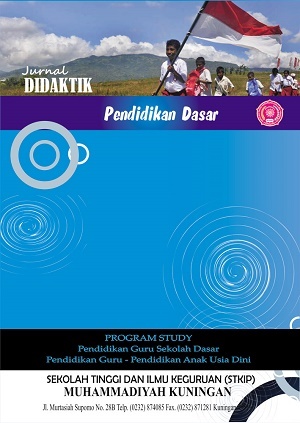 Journal Pelita PAUD is a national scientific journal published by the Department of Early Childhood Education, STKIP Muhammadiyah Kuningan which contains the results of research that is raised from theoretical studies and results of research in the field of Early Childhood Education. 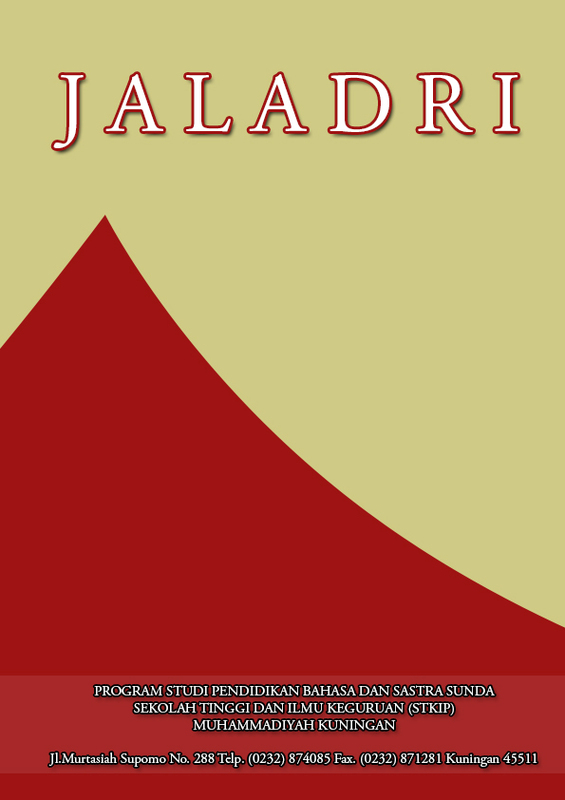 Journal PAUD Pelita is published twice a year, namely in June and December. The purpose of this journal is to facilitate scientific publications which are the results of research conducted by students, teachers, academics and researchers. Journal Pelita PAUD contains various disciplines of Early Childhood Education, especially in the scope of ECE learning, policy, parenting, child development, and early chilhood problems. JUMLAHKU: the scientific mathematics journal STKIP Muhammadiyah Kuningan, is a digital journal based on open access, has been established for the dissemination of state-of-the-art knowledge in the field of mathematics education. This journal was founded by the Department of Mathematics Education in Muhammadiyah Kuningan, while this has only been indexed by Google Scholar and iOS National Library. the status of the journal is in the process of accreditation and has an issue of 2443-3500 issued by LIPPI. JUMLAHKU published scientific articles through digital journals in 2015 with issue volume 1 number May 1 2015. The period of publication of this journal is every May and November. JUMLAHKU: jurnal matematika ilmiah STKIP Muhammadiyah Kuningan, adalah jurnal digital berbasis akses terbuka, telah ditetapkan untuk penyebaran pengetahuan state-of-the-art di bidang pendidikan matematika. jurnal ini didirikan oleh prodi pendidikan matematika stkip muhammadiyah kuningan, sementara ini baru terindeks oleh google scholar dan ios perpusnas. status jurnal sedang dalam proses akreditasi dan memiliki p-issn 2443-3500 yang dikeluarkan oleh LIPPI. JUMLAHKU mempublish artikel ilmiah melalui jurnal digital pada tahun 2015 dengan issue volume 1 nomor 1 mei 2015. periode publikasi dari jurnal ini setiap bulan mei dan november. ICT Learning adalah jurnal yang diterbitkan oleh Program Studi PTIK STKIP Muhammadiyah Kuningan pada tahun 2015, terbit dua kali dalam satu tahun yaitu pada bulan Mei dan Desember. 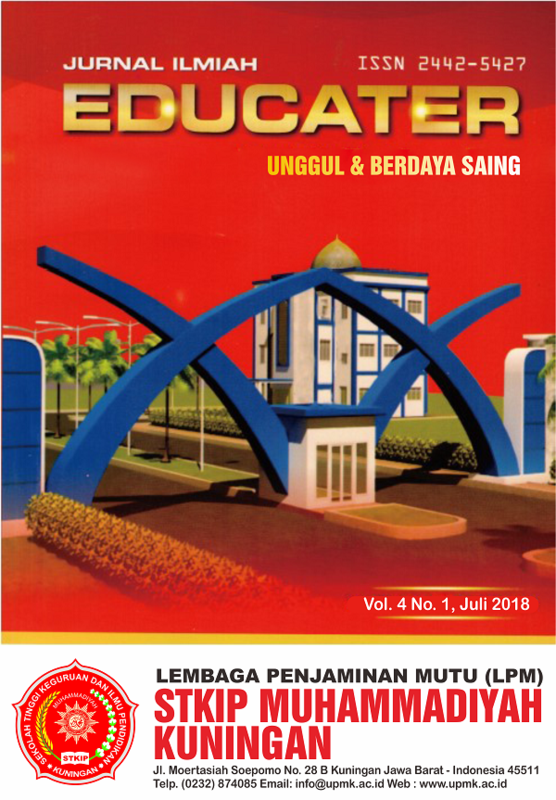 Jurnal Ilmiah Educater memuat beragam disiplin ilmu pendidikan teknologi informasi dan komunikasi, terutama dalam lingkup media pembelajaran berbasis IT, IT untuk pendidikan, E-Learning, sistem informasi dan literasi digital. Tahun 2015 memperoleh ISSN cetak 2459-959X.